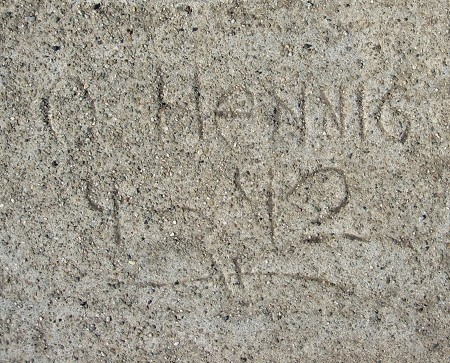 Otto Hennig signed his initial at least twice this year. This signature is different from the other example I’ve documented, including a flourish beneath the date that’s quite unlike the Hennig I thought I knew. This entry was posted on 21 February 2015 at 12:03 am and is filed under 1942. You can follow any responses to this entry through the RSS 2.0 feed. You can skip to the end and leave a response. Pinging is currently not allowed.